Music Notes Business Card Holder – With this stylish business card holder, you can add a little personality to your desktop! Created from heavy duty lead free pewter, you can store your business cards upright on any table top surface. The front of the holder also features a beautiful etching of music notes on a staff for a fun decorative touch. 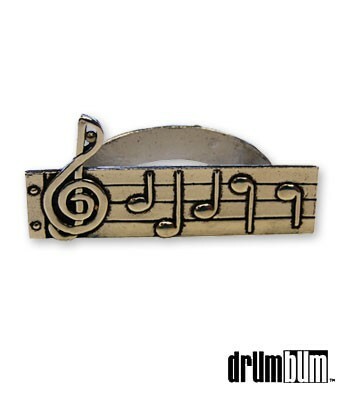 A great gift idea for the desk of a musician or music lover. Size: 3″ L.